This article was written by Marjorie Metzger, and reviewed by Julie Cavallasca and Guilhem Velvé Casquillas. 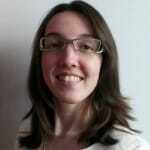 Marjorie Metzger, master student at EPFL in life sciences, orientation neurosciences and neuroengineering. Julie Cavallasca, scientific translator, studied languages and translation at Aix-Marseille University and Paris 7 Diderot University. She now works for for Elvesys and the NBIC Valley. 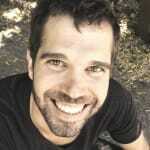 Dr. Guilhem Velve Casquillas is the CEO of Elvesys and co-founded many innovative companies. He is a former cellular biology researcher at the Curie Institute and in microfluidics. According to the World Health Organization, cardiovascular diseases are the leading cause of death worldwide . 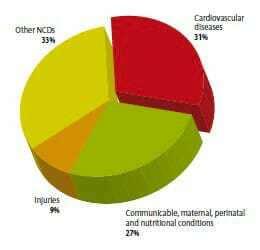 In 2008, there were an estimated 17.3 million deaths due to cardiovascular diseases. This means that around 30% of the people who died in 2008 died because of a heart failure (Fig. 1). Moreover, cardiotoxicity is one of the leading cause of drug withdrawals. Figure 1: From S. Mendis, P. Puska, B. Norrving, World Health Organization, World Heart Federation, and World Stroke Organization, Eds., Global atlas on cardiovascular disease prevention and control. Geneva: World Health Organization in collaboration with the World Heart Federation and the World Stroke Organization, 2011. Animal models can help progress on the general understanding of the biological and physiological processes but often fail to exactly represent human cardiotoxicity due to inter-species differences, explained Mathur & al. (2015) . Indeed, the data obtained from animal testing is extrapolated for humans. The inaccuracies that result can become dangerous especially when speaking of cardiac medication doses. There can also be substantial differences among humans due to age, race or genetic diversity. A heart-on-chip is a simple innovative way to reproduce cardiac tissue in three dimensions. The basic idea behind this microphysiological device is to find a simple and cheap method to apply for the study of cardiac diseases, for cardiac drug development and cardiotoxicity testing, for personalized medicine and for damaged heart tissue regeneration . Zhang & al. (2017)  analyze the commercial progress of the major organ-on-chip technologies and predict a close integration in the pharmaceutical research space. In order to create a valuable model, the microchip is supposed to mimic the heart’s main properties: the mechanical contractions, the molecular transport, the electrical activity and specific responses to some drug stimulation. It could also be interesting to add specific measurement systems, for contraction or action potential recordings or even calculation of tissue elastic modulus as done by Sidorov & al. . First of all, the heart-on-chip should reproduce the cellular organization level in a living heart by exhibiting sarcomeres assembling with aligned tissue structure (Fig. 2) . The heart is also one of the rare organ with active tissues that show intrinsic contractions. Moreover, the tissues are known to have a better cardiac differentiation when stimulated by a stretching pulse, as demonstrated by Zhuang & al. (2000) . The contraction movement is therefore extremely important for a robust model with mature cardiomyocytes. Figure 2: Sarcomere schematic composition with myosin and actin filaments. 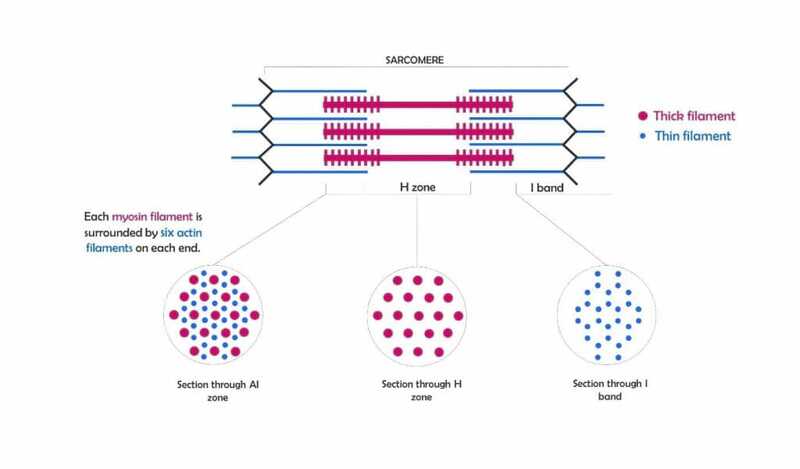 The sarcomere is the building block of the striated muscle tissues between two Z lines. The heart is a pump but also a muscle, which means energy consumption and molecular transport. This aspect of the organ should be taken into consideration to model the nutrients supply and waste products elimination. Another key point to build a future automatic large scale method for the pharmaceutical industry is to obtain measurements data directly from the microchip to evaluate the potentiality of the tested therapeutic treatment. Indeed, integrating registration systems in the chip allows to avoid separating instruments and therefore decreases the cost while increasing the precision . It also allows for a better control of the stimulation. The professor Wikswo and his team just built an engineered 3D cardiac tissue: the I-Wire Heart-on-a-Chip incorporating wires that can be used for both electrical stimulation and chronic measures , . In order to describe more precisely the general functioning of a heart-on-chip, this review will focus on the I-Wire Heart-on-a-chip created at Vanderbilt University . They formed a PDMS casting mold and added it into a six-well plate (see Fig. 3) with a channel on each side for the insertion of titanium anchoring wires. An engineered 3D cardiac tissue (ECTC) was then cultured in this plate by Sidorov & al. using ventricular cells from neonatal Sprague-Dawley rats, with fibrinogen and thrombin. As explained by Sidorov & al. , different types of cells are needed to generate proper cardiac tissue structure. Thus, they used cardiomyocytes as expected for a heart model but also cells specific from vessels and ECM (extracellular matrix) formation. For an easier culturing, the cells were placed in a culture medium (Gibco Fisher Scientific, DMEM). After 5-6 days of culture, cells begun to beat synchronously and within 13-15 days, muscular fibers were formed. 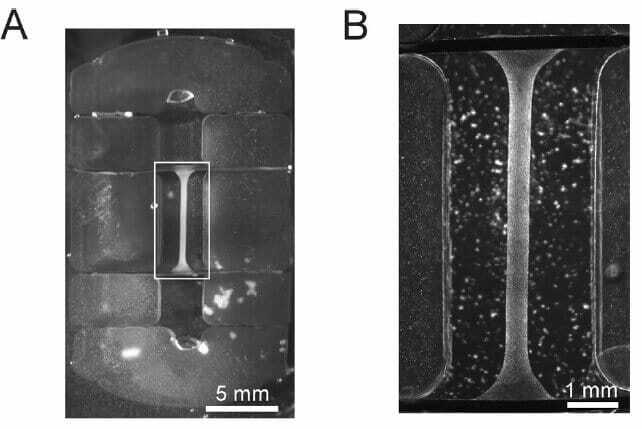 Figure 3: Taken from V. Y. Sidorov, P. C. Samson, T. N. Sidorova, J. M. Davidson, C. C. Lim, and J. P. Wikswo, “I-Wire Heart-on-a-Chip I: Three-dimensional cardiac tissue constructs for physiology and pharmacology,” Acta Biomater., vol. 48, pp. 68–78, Jan. 2017. On picture A, a six-parts PDMS casting mold is observable with the 3D ECTC in the middle—more distinguishable on picture B. There are also two channels on each side of the culture for the adding of wires. These wires allow direct and continuous measurements without the help of external devices nor any cell removal. The contractions were detected and measured using an inverted optical microscope with a cantilever probe fixed on the condenser. It allows an optic measurement of the probe displacements and thus of the ECTC deformations. The ECTC is anchored on a motorized stage. Therefore, the Vanderbilt Institute could stimulate contraction by applying a controlled lateral force. The action potential is also measured by the use of a potassium chloride electrode and a silver chloride reference electrode. Moreover, the anchoring titanium wires were used for voltage stimulation. Sidorov & al. were able to culture cardiomyocytes that differentiated into a beating cardiac muscle. They noticed an alignment of the myofibers between the two anchoring wires with the expected sarcomeres organization. As expected, the AP (action potential) amplitude observed was around 80–90 mV and the resting potential around 60–75 mV at a pacing rate of 2000 ms . The professor Wikswo team also observed the Franck-Starling relationship when measuring the contractility of the ECTC in response of an applied horizontal force. From Y. Sidorov, P. C. Samson, T. N. Sidorova, J. M. Davidson, C. C. Lim, and J. P. Wikswo, “I-Wire Heart-on-a-Chip I: Three-dimensional cardiac tissue constructs for physiology and pharmacology,” Acta Biomater., vol. 48, pp. 68–78, Jan. 2017. This video shows the I-Wire heart beating. It represents a heart fiber beating at different frequencies with the cantilever in black. In a successful effort to assess the drug testing potentiality of the heart-on-chip, Sidorov & al  tried a β-adrenergic stimulation. In fact, adrenergic neurotransmitters are essential to regulate the heart rate. As expected, they noticed an increase of the measured force and the contraction velocity following the isoproterenol adding, known as adrenergic receptors activators. As for in vivo cardiomyocytes, the isoproterenol elicits a decrease of contraction duration. The I-Wire platform was also used in another study to reproduce these effects and build a mathematical Hill model based on a heart-on-chip . However, it should be extended to humans for cardiac diseases study and even possibly for personalized medicine. Marsano & al. from the Basel University and Politechnico di Milano (2016)  built a 3D microtissue model with human induced pluripotent stem cells (hiPSC). They observed a better maturation of the human cardiomyocytes under cyclic mechanical stimulation. The heart-on-chip obtained, developed spontaneous and synchronous beating as well as the expected response of cardiomyocytes to isoprenaline, a β-adrenergic-agonist. It does not completely represent the cardiac muscle organization but still models the main cardiac tissue properties. Research demonstrated that the heart-on-chip technology has potentiality for pharmacologic and research applications especially when using integrated registration systems for contraction and action potential. Indeed, the first microchip device described can apply a transversal force with its cantilever probe and directly measure the responses of the ECTC. The wires are glued in the PDMS mold. They stay during the whole cell culture and for the measurements during the analysis phase. This measurement technique is simpler, more accurate but also decreases the cost compared to classical measurement devices. Having a reliable heart-on-chip opens the door for a human-on-chip: a multi-organ microdevice. It is essential for drug testing to assess not only the cardiotoxicity but also the global inter-organs interactions. S. Mendis, P. Puska, B. Norrving, World Health Organization, World Heart Federation, and World Stroke Organization, Eds., Global atlas on cardiovascular disease prevention and control. Geneva: World Health Organization in collaboration with the World Heart Federation and the World Stroke Organization, 2011. A. Mathur et al., “Human iPSC-based Cardiac Microphysiological System For Drug Screening Applications,” Sci. Rep., vol. 5, p. srep08883, Mar. 2015. V. Y. Sidorov, P. C. Samson, T. N. Sidorova, J. M. Davidson, C. C. Lim, and J. P. Wikswo, “I-Wire Heart-on-a-Chip I: Three-dimensional cardiac tissue constructs for physiology and pharmacology,” Acta Biomater., vol. 48, pp. 68–78, Jan. 2017. B. Zhang and M. Radisic, “Organ-on-a-chip devices advance to market,” Lab Chip, vol. 17, no. 14, pp. 2395–2420, 2017. E. H. Sonnenblick, J. Ross, J. W. Covell, H. M. Spotnitz, and D. Spiro, “The Ultrastructure of the Heart in Systole and Diastole: &gt; Changes In Sarcomere Length,” Circ. Res., vol. 21, no. 4, pp. 423–431, Oct. 1967. J. Zhuang, K. A. Yamada, J. E. Saffitz, and A. G. Kléber, “Pulsatile Stretch Remodels Cell-to-Cell Communication in Cultured Myocytes,” Circ. Res., vol. 87, no. 4, pp. 316–322, Aug. 2000. A. K. Schroer, M. S. Shotwell, V. Y. Sidorov, J. P. Wikswo, and W. D. Merryman, “I-Wire Heart-on-a-Chip II: Biomechanical analysis of contractile, three-dimensional cardiomyocyte tissue constructs,” Acta Biomater., vol. 48, pp. 79–87, Jan. 2017. A. Marsano et al., “Beating heart on a chip: a novel microfluidic platform to generate functional 3D cardiac microtissues,” Lab. Chip, vol. 16, no. 3, pp. 599–610, Jan. 2016.